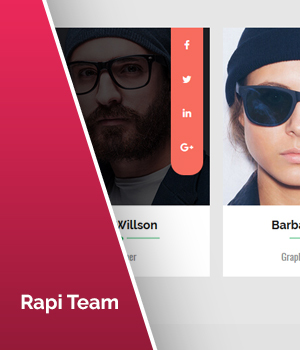 Rapi Team is a fully Responsive module that display your team members. 10 different and beautiful themes. Ability to display team members as slideshows. Possibility to set the number of columns per slide.